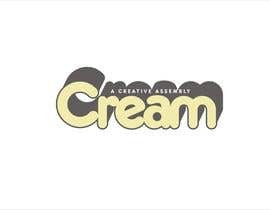 We are Cream, a creative assembly. We were founded by freelancers, for freelancers. We act globally to bring designers and developers to the clients that need them. We make the best of both worlds truly possible. While working for us, you get all the perks of freelancing and we minimize the drawbacks to keep you happy and coming back for more. The clients gets exactly what they want from the best of the best, the cream if you will, without sacrificing the integrity and freedom of our designers. Now it is your chance to be a part of this from the beginning. We are reaching out to you, Freelancers, to design our logo. 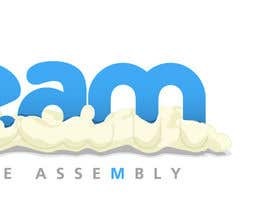 We couldn't think of a better way to show off our creative assembly than having you guys design it. 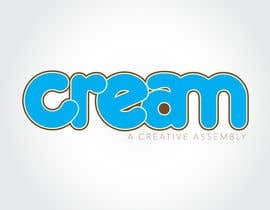 -We like Frankfurter Highlight for the business name, i.e., "Cream"
The future of web design and development is here. and #168 you call that a logo? Thank you everyone for all your hard work. I know we can be difficult and we are sorry if anyones feelings got hurt in the process. That said, you guys really blew us away with your designs. We appreciate the time you invested in this; especially to the freelancers that were really able to listen to our feedback and show us they saw our vision. So, in turn, we will try and be fair to you and your valuable time and not take forever in making our decision. Don't forget to Follow us! There will be lots more work where this came from, so keep an eye out. Our company website is the next thing we will need designed and, once again, we want to leave it up to you guys! Be on the look out for that project. We haven't seen an entry from you yet! Thanks for all the entries so far everyone! Things are coming along great. We just wanted to remind you that we will be looking for not just the main logo, but at least one other version that is square. Please keep that in mind while working on your submissions. Thanks again, we looking forward to interacting with all of you one-on-one! Definitely not, do what you think would work please! If we reject your entry, it is not meant to be offensive. We would like to keep the page clear of entries we have already given our feedback to. Please read our feedback and submit a new entry, if you are up for it. Thanks again for all your work. 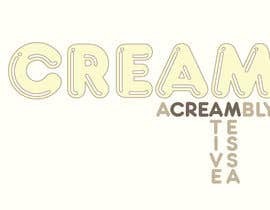 Here is a good example of the type of cream we like. It has great body. We aren't referring to the specific shape of the pile of cream, more to the peaks and troughs that are present on the cream itself. Thanks for all your entries, you guys are really impressing us!